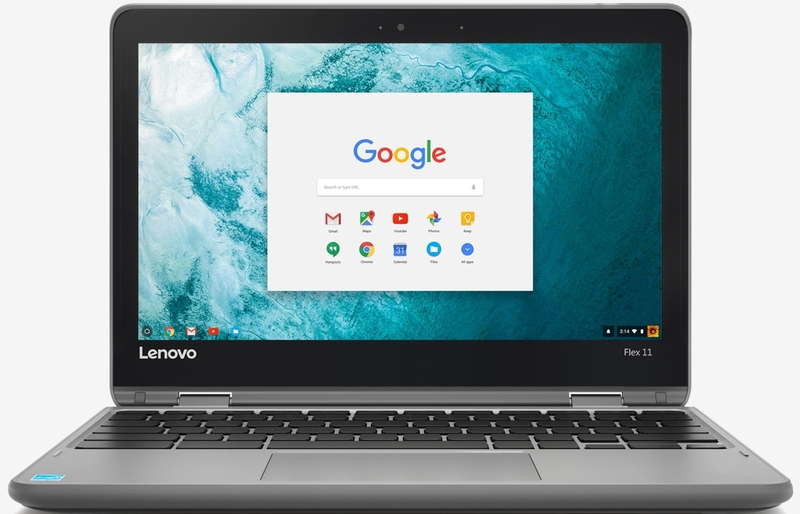 Those in the market for an affordable Chromebook have yet another option to consider as Lenovo has unveiled the Flex 11, a multi-purpose machine that’s easy on the wallet. The Lenovo Flex 11 is a 2-in-1 hybrid Chromebook featuring an 11.6-inch IPS touchscreen display operating at a resolution of 1,366 x 768. It’s powered by a 2.1GHz quad-core ARM processor, 4GB of DDR3 RAM and 32GB of eMMC storage (expandable via SD card slot). Buyers also get a 720p webcam, USB Type-C connectivity, HDMI out, 802.11 a/g/n/ac Wi-Fi and up to 10 hours of battery life on a single charge. Thanks to its 360-degree hinge, the Flex 11 can be used like a standard laptop, propped up in “tent” mode for watching videos or folded back to operate as a tablet. It weighs just under three pounds – light for a laptop but not so much for a tablet. The Flex 11 should also be able to withstand the rigors of daily life thanks to its reinforced ports, sealed touchpad and water-resistant keyboard that can handle spills of up to 330ml (around one cup of water). Lenovo said the machine was designed with Android apps from the Google Play Store in mind and specifically cited Skype, Asphalt 8, Evernote and Slack in a blog post announcing the system. The Lenovo Flex 11 Chromebook will start at $279 when it ships later this month.